The South Korean capital Seoul is now home to the world’s largest artificial floating island, recently opened on the Han river. 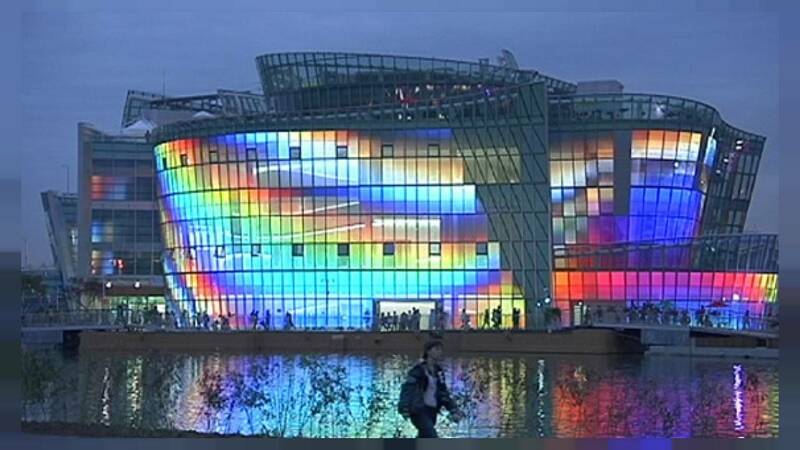 It is made up of three inter-connected centres for concerts, conventions, exhibitions, water sports and restaurants. The authorities hope the island will become a major attraction for South Koreans and foreign visitors alike. The public and private-funded project has cost the equivalent of more than 60 million euros and is at the heart of a major river renaissance plan. The Han river was a major part of life in the capital in previous decades, but officials admit that for a time it was not given the attention it deserved. Now there are numerous projects next to and on the water, to ensure the Han remains an important focal point. The riverbanks are also being transformed into parks and public spaces. From the drawing board to the opening of the floating island, there were months of painstaking work. The central challenge was how to keep three heavy structures afloat, using only giant buoys and mooring chains. The whole thing also had to be environmentally friendly. The man in charge of the design and construction said revolutionary technology had to be found to minimise risks. A kind of GPS system is supposed to keep the different parts of the island stable; one slight variation in position triggers an automatic correction system. Several artificial islands exist in other parts of the world, but none as large as this one, relying completely on buoyancy. The three sections of the island have been given names. The largest has been called Vista, the smallest, Terra. The third is called Viva. Another feature of the floating island is a giant outdoor stage and screen. With South Korea facing tough competition from other countries vying to host world events, high hopes are riding on this venture. The island can accommodate thousands of people, with 700 in one conference venue alone. Not just local residents are showing interest in the new site. Visitors will find it even more fun to look at when the sun goes down, when the light displays work their magic. The floating island is also just metres away from another popular attraction in the South Korean capital: the water and light show on the Banpo Bridge. While the official opening of the island has already taken place, managers say some work is still being done, to have everything completely functional by September.